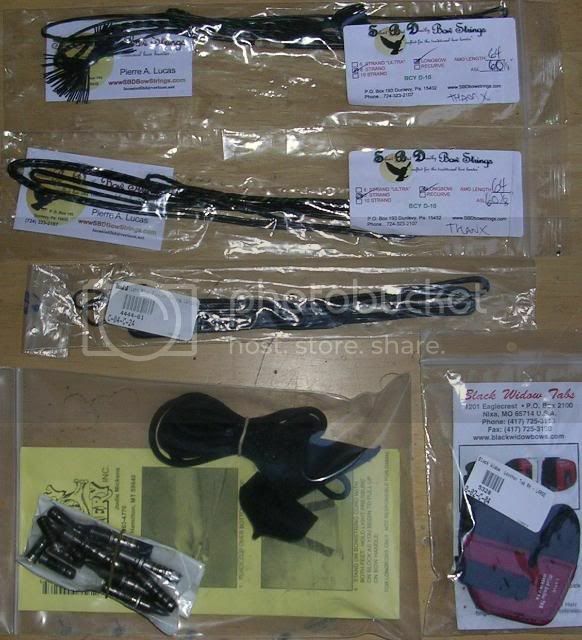 The following archery items for sale as ONE SET. 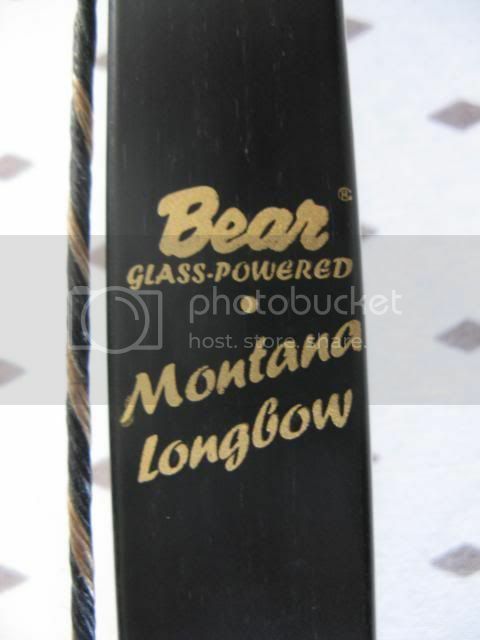 a) Bear Montana Longbow. Right Hand. 64" length. 50lbs. @28" draw weight. b) Cat Whisker string silencers. 2 nos. Already fixed on the two custom bow strings. c) Shur Grip. 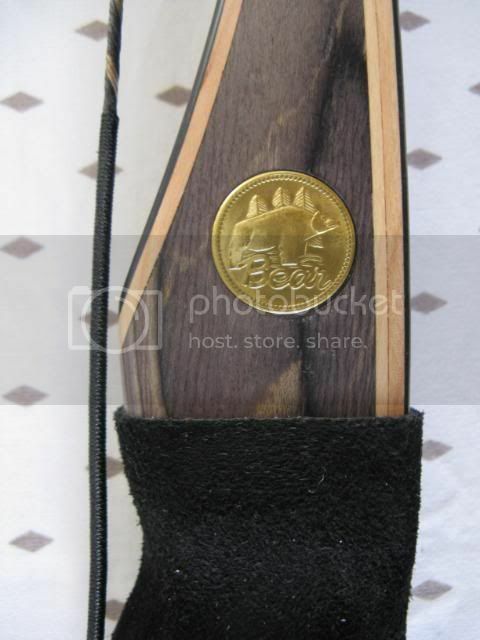 Currently on top of the existing suede bow grip. 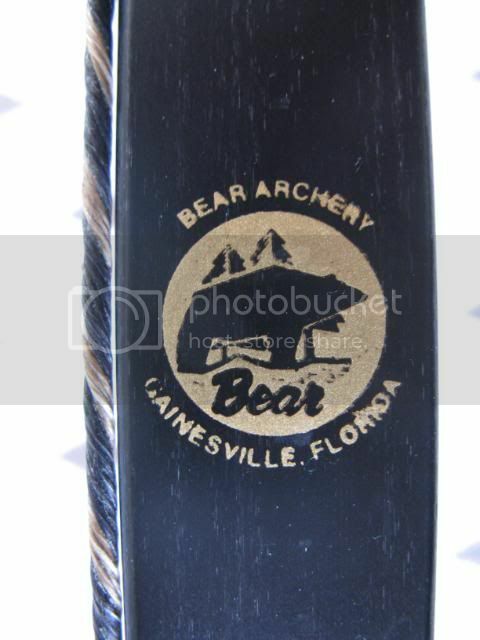 d) Bear Hair arrow rest and strike plate. Fixed to the bow. e) Cloth bow sock. Not seen in the pics. f) Rubber tip protector. Currently on the bow's lower tip. g) 1 dz. 125 grain screw-in points. h) 1 dz. 100 grain screw-in points. i) 19 nos. of Easton Game Getter 500 (2016) alloy shafts. Fletched with feathers and inserts and screw-in points installed. Some shafts have a reflective arrow wrap. Shafts have been cut to 28" BOP. One arrow is unfletched for bareshaft tuning purposes. j) Original bow string that came with the bow. 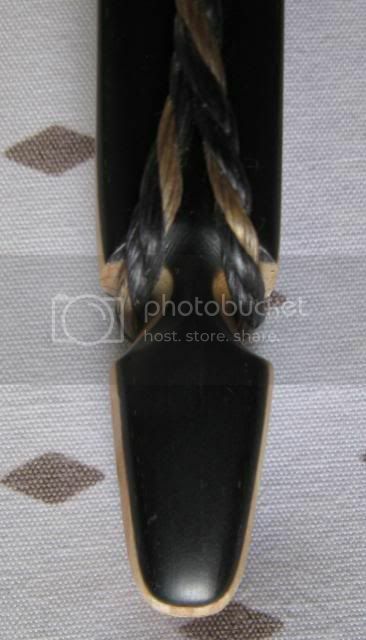 k) 3 Rivers Flemish bow string. 1 no. l) 2 nos. of Silent But Deadly custom bow strings. m) 1 no. 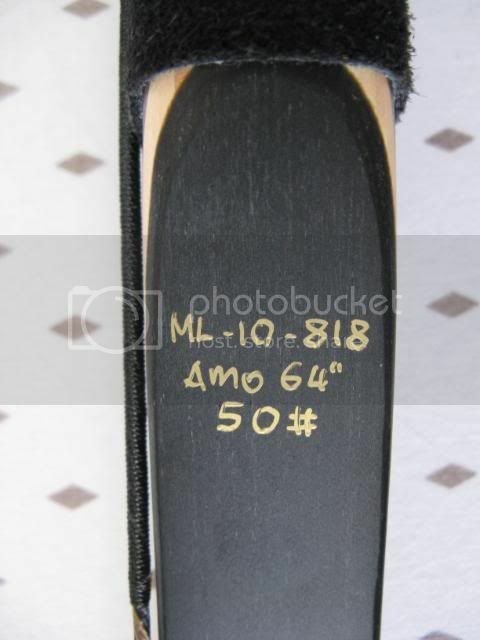 Black Widow finger tab. n) 1 no. Selway Limbsaver Bow Stringer. All items are in excellent to very good condition, save the arrows and screw-in points which show cosmetic wear and tear but are still straight and totally useable. Rs.45,000.00 + shipping, if required, at actuals. If the items are to be shipped, I would prefer that the items are inspected by the buyer's representative as I will not reimburse for any item/s that is lost or damaged in shipping. Have moved on to a heavier poundage bow. All of the above were bought in 2010. Via PM. If you are known to me and have my e-mail or phone number, feel free to use that as well. Last edited by Rustam Bana on Wed Aug 22, 2012 7:40 pm, edited 4 times in total. Title amended as I have added two more items (shotgun case and knife) to the list.